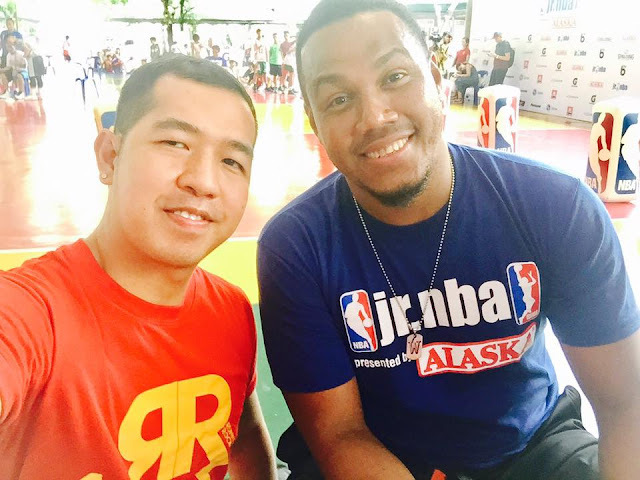 Since 2015, yours truly Runner Rocky is proud part of the Alaska Jr. NBA. This is a sports event harnessing the young athletes towards a healthier and fitter lifestyle. It also build and mold the next basketball icons of the country. This 2017, I once more witnessed this exciting sports event which took place at Don Bosco Institute of Technology, Makati City. 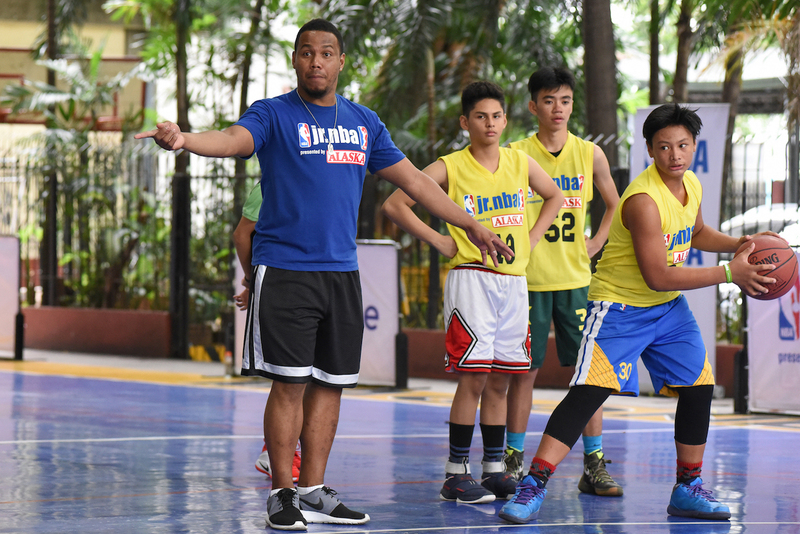 Glad to see new aspiring young basketball players now under Coach Willie Miller, one of the legendary basketball superstars! Basketball has always been considered the unofficial national sport of the Philippines. 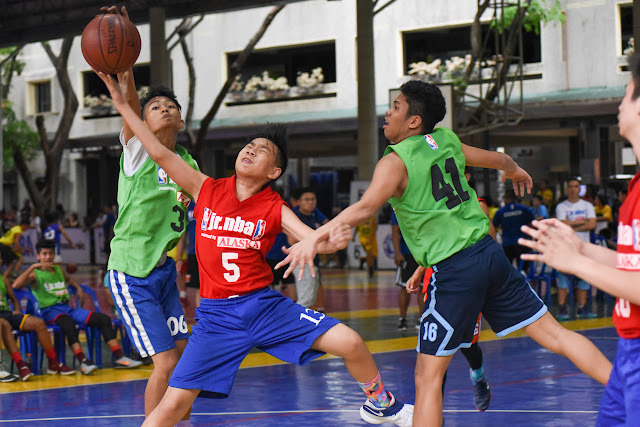 Just count the number of basketball courts – makeshift or otherwise – in any given city or barangay and you can surmise how popular the game is among Filipinos. It is no wonder that more and more kids are picking up the sport at younger age. 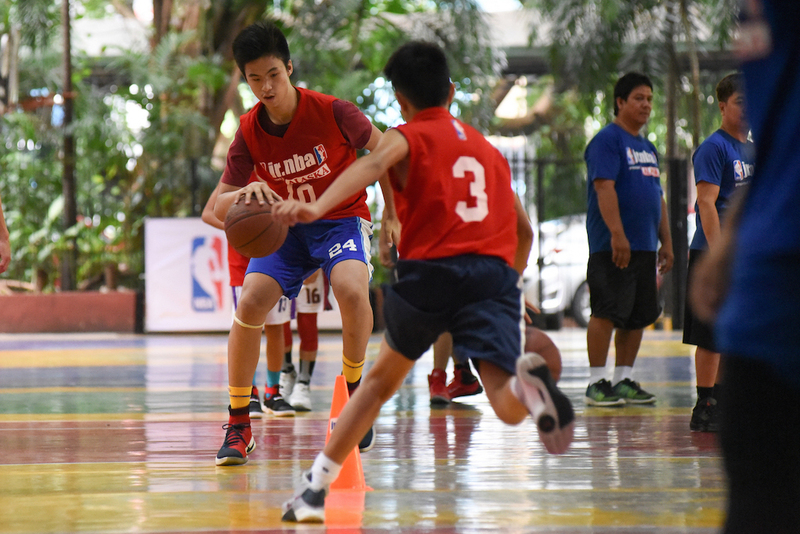 To help nourish these young athletes’ love and skill for the game, Alaska has again launched the Jr. NBA Philippines 2017. A partnership between Alaska Milk and NBA Philippines, the Jr. NBA Program aims to cultivate young athletes’ potential through a series of school and open basketball clinics, Regional Selection Camps, a National Training Program and the NBA experience trip. It also seeks to help these young talents form the habit of getting the right nourishment by drinking milk and through leading a healthy and active lifestyle. According to the Food and Nutrition Research Institute (FNRI), obesity has become one of the most pressing nutritional issues of Filipino children today with about five in 100 Filipino kids who are overweight. Alaska Milk emphasizes the need for children to start leading healthier, energetic and nutritionally-balanced lifestyles through programs like the Jr. NBA Philippines to entice kids to put down their gadgets and pick up a sport instead. And as moms, you can help your budding basketball player reach his or her star athlete potential. Demonstrate SPORTSMANSHIP. Not every game your champ will be in will be as clean as a whistle. Kids will be kids. So, don’t be surprised if they play rough sometimes. Teach your son or daughter to be the “bigger” athlete by taking the high road. If for instance, your kid’s team loses a game or an important point, teach him to refocus instead of losing steam. Train him to reassess what he could have done better and how he can apply it next time. Learn the game further with your kid. Brush up on some Basketball 101 by going online, watching games or just asking other basketball fans. Before you know it, you both can comment on the directions of the point guard, critique the flow of the movement in the paint, and observe how the team executes zone defense and triangle offense like the best of them. Emphasize the value of TEAMWORK. Do you remember when you were a kid and you didn’t want to follow rules or just wanted to be let alone? Well chances are, your child will also have a spell and will refuse to go to practice. Be understanding, yet firm. Tell him that he is a crucial part of the team and that he should feel privileged to be part of it. Help him realize the importance of commitment and teamwork. Cultivate a positive ATTITUDE. One of the mistakes most parents commit is that they pressure their child to perform well and win the game. Don’t overburden your child by focusing on the outcome of their game. Emphasize to them that what is most important is that they are enjoying every minute of what they are doing. Allow them to discover the highlight of the sport and to fall in love with every aspect of the game because once they’re hooked, their dedication, passion and performance will follow. Give time and space. Big name athletes didn’t excel in their sport overnight. They practiced, practiced and practiced. If you want your child to reach his potential, don’t be afraid to give him the time and space to practice. Let him dribble away during his spare time, watch and rewind recorded NBA games, or even bring his basketball with him wherever he goes. You also need to become a good example. Leave the coaching to the coaches. Let’s face it, it’s hard to shake off the game even when you get home. Stop yourself from over analyzing each move point by point or from criticizing your kid’s play. Your job as parent is to be their quiet strength and their pillar of support – even when they lost the deciding point. Be an encourager and not their worst critic. Remember, the most powerful yet simple thing a mother can do for a young athlete is to provide unconditional love and support. Nourish your child in and out of the court. Ensure that your child gets the proper food and nutrition while undergoing training. This helps them perform better by powering up their bodies to function at its optimum and has the “fuel” needed to recover after training day. Drink Alaska Chocolate Powdered Milk Drink. It has energizing nutrients namely, magnesium, calcium and potassium that keep young athletes' bodies in winning form. And as always, be their number one fan by telling your kid you love them before or after every game, whether they win or lose.